Over the last few months Shamanic Extracts has been striving to produce a perfect SINGLE Kratom product and now finally we have managed to harvested the fruits of our labor!!! The new Kratom 15 X Extract is being manufactured in a special plant extract facility in Europe. This facility specializes in manufacturing extracts from various plants for the use in food supplements and herbal medicines all of which are exported to the USA & Europe. Since the products produced by this facility are all for human consumption the conditions used to make their extracts are VERY STRICTLY controlled for hygiene. Their standards are the highest in the industry and their equipment comprises of the best that technology can provide. Basically we are now sending them all of our bulk material where it is first sterilized and then carefully extracted, filtered and finally spray dried producing a “food quality” product. The end product is then carefully packaged in aluminum packaging and shipped back to us. 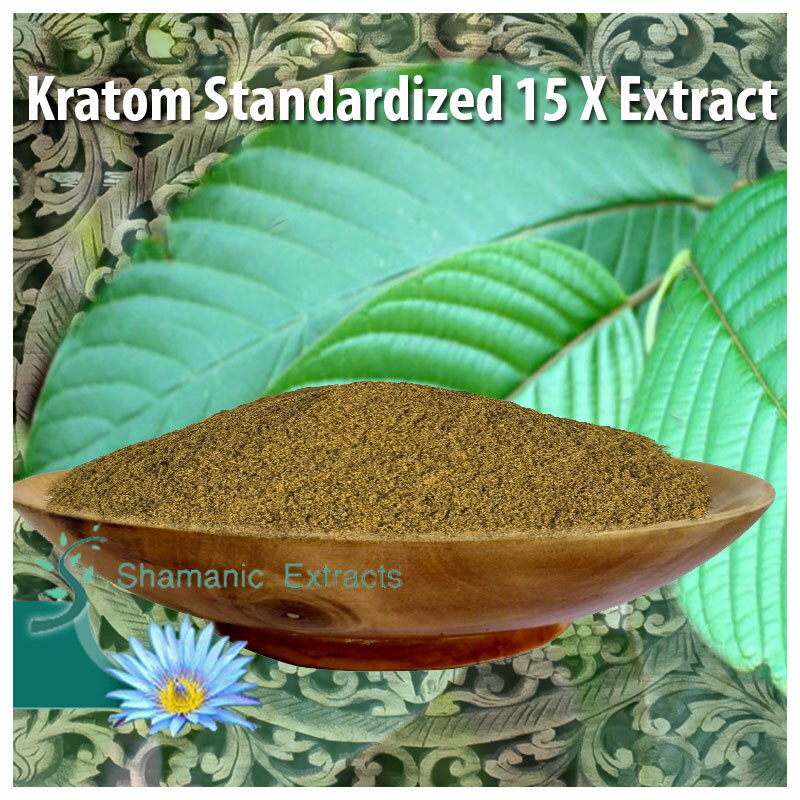 Kratom Standardized 15 X Extract is a dry and very fine powder almost as fine as talc powder. Basically this is about as good as it gets and can be very easily mixed into any drink or capsule. It is active at only about ½ gm with 1 to 2 gm (estimate based on personal use) being a nice therapeutical dose. Kratom is recognised to give you an opiate-like effect, making you sense extremely properly and "smooth". At lower doses it doesn't sedate you (unlike opiates) it truly offers you a quality energy boost a lot like a cup of coffee, at greater doses you might need to lie down lol on account that kratom does have sedative homes when you go above 5 grams. I wager you'll simply have to attempt it yourself! Share your experience about KRATOM STANDARDIZED 15 X EXTRACT with other customers. Submit your tips or thought on this product, be detailed and specific.